Aussie actor Chris Hemsworth stars in this latest commercial from Foxtel. 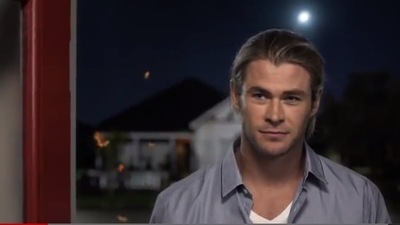 Oh Thor.... if only every commercial I watch has that hair, that accent, that body, those eyes and that charm. You can sell me anything.....Be still, my heart!